Beijing is arguably the flower of eastern civilization. It is a political and cultural center for more than seven centuries. It is the only city that managed to preserve this lead for such a long time. 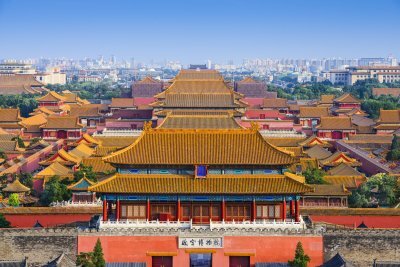 The moneyed palaces the beautiful gardens and temples, in combination with its rich art treasures make a trip to Beijing a priceless experience. Being one of the most populous cities in the world with vast areas impresses the visitors, but at the some time can cause great stress. The hustle and bustle of Beijing requires careful planning as far as transportation is concerned. If you want to avoid feeling lost all the time with a great sense of insecurity you need to have the absolute control on your transportation. Van hire gives you the chance to do this. Booking a mini van will make you directly feel you made the right choice. Visit our website at www.vanrental24.com and start discovering this amazing mysterious city. 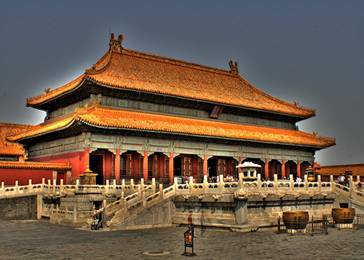 Start your exploration of Beijing from the Forbidden city- The Imperial Palace . With 12 seat minivan rentals the two hours drive will seem like nothing take a deep breath and enjoy the beauty unfolding in front of you. Get ready for a lot of walking. With more than 9.000 rooms you will practically need a whole day to see it all.The palace was built between 1406-1420, but it was burned and restored again in the 18th century by the Qing Dynasty. The Tiananmen Square a place that represents the Chinese culture. It hosts parades and events Tiananmen Square is circled by Tiananmen (Gate of Heaven Peace) on its north the Great Hall of the People on its west, on the east of Tiananmen Square lies the National Museum of China,; there are Monuments to the People's Heroes and Chairman Mao's Mausoleum on the south. The biggest defense military project is definitely the Great Wall built from the 3rd century BC to the 17th century AD on the northern border of the country. It represents the high strategical thinking of the Chinese Emperors. Have you ever imagined yourself relaxing at the biggest garden in the world? Well you are in Beijing and you can make your dream come true. A real oasis awaits. The summer Palace Yiheyuan with the amazing gardens temples and pavilions is a landscape that will make you wonder if such beauty really exists. Kunming lake makes the place a piece of heaven. It is certain that the Emperors knew how to choose places to live. It is true that the distances you need to cover while you are at Beijing are unusually long for the majority of the tourist Minivan rentals is an advanced travelling tool that makes travelling an easy process. Looking for a taxi or a bus in such a difficult and different city is something you don't have to worry about. You don't need to depend on nobody else apart from yourself and your friends. So get ready for your next stop The Temple of Heaven (Tiantan). The Temple of Heaven is dedicated to the powers of moon, sun, heaven, and earth. It is the landmark of the city. Here you can see people doing Kung Fu and Taiji exercises which in the Chinese cultural is like a ritual. The best part of the temple are the century old trees that stand proudly. If you are seeking a true glimpse on the daily life of Beijingers then you must visit the well- preserved hutong areas. You can try a man driving Pedicab tour and wonder around the tobacco alley. Final stop for a real shopping therapy is the Silk Market it used to be open, but now is closed with a roof top. It attracts thousands of foreign tourist. Fine silk products are sold on the third floor they are the perfect choice for a gift to your beloved ones. Beijing has become nowadays one of the biggest financial centres with a great impact. Thousands of consumer goods are made in China. Giant enterprises from all over the world are located here after all Beijing is one of the fastest growing markets with a huge demand. Daily a large number of businessmen arrive here for supervision, negotiations and other arrangements. Many also come here in order to attend one of the large exhibitions that are organized here. For these people who have such a tight schedule and during their stay the road becomes their second house Van hire is a life line. It lets them relax not only because they can move in and out of the city with absolute comfort, but mainly because they don't have to put on hold or postpone for later things they have to do. With Van rental travelling and working is no more a fictional scenario, but a reality. Minivan rentals adjust Beijing to your needs!